Last March, independent developer Studio Bean launched a Kickstarter for the first procedurally generated video game powered by the Twitch chat room. 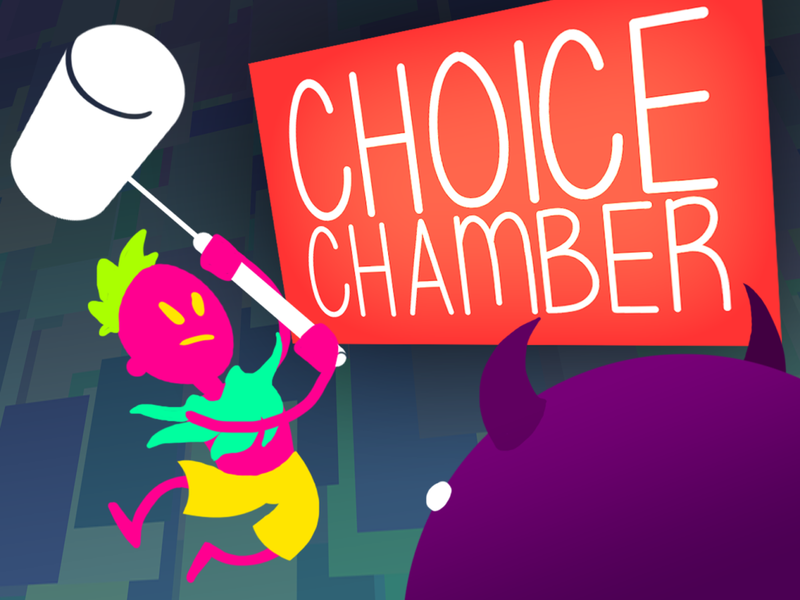 The game, ‘Choice Chamber‘, puts a Twitch broadcaster at the mercy of his or her own viewers — they can either choose to help the player, or to really screw some stuff up. Twitch matched the funding Studio Bean needed to get the game into production, and the finished version is finally live and available through Steam or Humble. It’s clear that Choice Chamber is inspired by Twitch Plays Pokemon — which originally took the first Pokemon game and challenged the audience to input controls to help the main character reach the Elite Four. Although all signs pointed to anarchic chaos, the channel has worked its way through multiple Pokemon games and is still going strong — the audience is currently playing through ‘Pokemon Omega Ruby/Alpha Sapphire’ for the Nintendo 3DS. Twitch and Studio Bean are also holding a contest until July 19, which will give four skilled gamers an in-game monument and a personalized game made by Studio Bean.